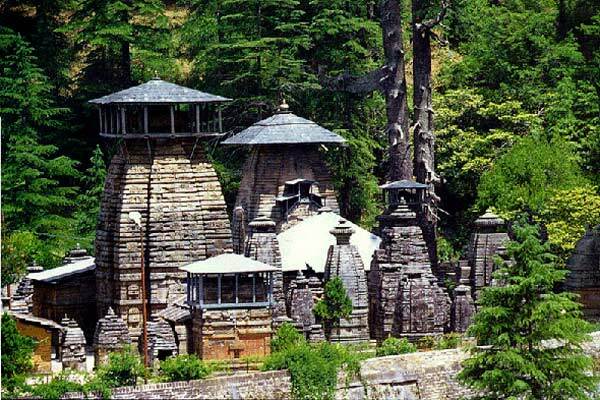 Situated around 35 KMs from Almora, Jageshwer one of the most important religious places of Hindus in Kumaun and is believed to be the abode of the one of the twelve ‘Jyotirlingas’. It is even mentioned in the great epic of ‘Mahabharata’. The great temple complex is situated in a narrow and beautiful valley covered with Cedar trees. Two streams Nandini and Surabhi flow down the hills and meet near the sacred spot. Famous Temple of Chitai Golu in Almora Chitai Temple is dedicated to Golu Devta, an incarnation of Gaur Bhairav. Situated 8kms from Almora the deity of this sacred temple is reputed to make every wish come true, provided the worshipper ask for it with a clear conscience. 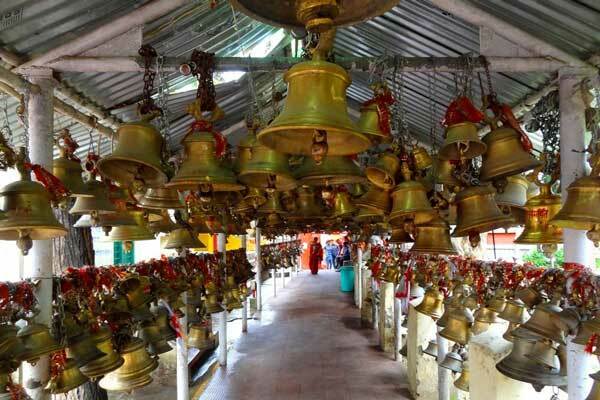 All he asks for in propitiation is a bell, as was evident from the thousands of bells strung across the temple premises. Katarmal Sun Tmple Katarmal is situated around 17 kms North West of Almora. Katarmal is famous for 800 years Temple dedicated to the sun God. 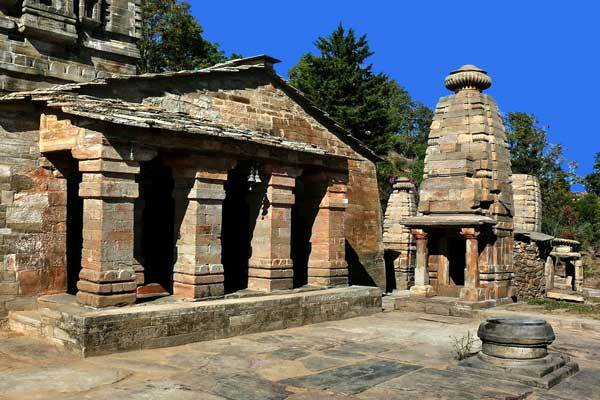 It is considered to be the second most important sun temple in the country, the structure is almost 800 years old and was built by the Katyur rulers of Kumaon. The attention which this old temple needed on regular basis has not been given to it. Kasaar Devi Temple is at the walking distance from Ganga Guest House. It is believed that this temple was built by a king named Rudrak. Kasaar Devi Temple is mentioned in Skanda Purana. Kasar Devi is a temple on the Kashyap Hills, 7 km North from Almora, where Swami Vivekananda once came to meditate in the late 19th century. 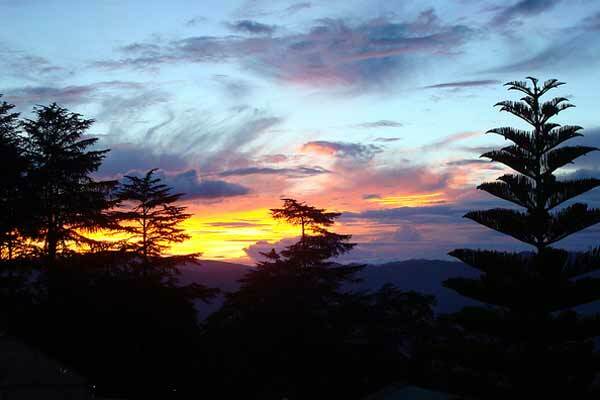 This place is also famous for magnificent view of Himalayas and the breathtaking night view of Almora city. 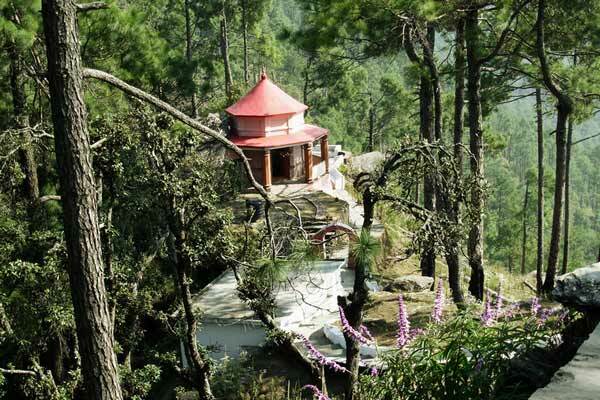 Simtola Eco-Park is a popular spot for camping and picnicking and it is situated 3km from Almora. Simtola is surrounded by thick forests of deodar and chir trees and lies adjacent to the famous Kasardevi hill. Sidheshwar, Adey and Golu temples lie in its midst and is the ideal place to view snowcapped Bandarpunch and Nandadevi peaks. The huge array of wildlife at the zoos in Almora hill station ensures lots of interesting sightseeing experiences. These zoological parks around Almora hill station are ideal if you want to check out wildlife in Almora hill station without actually going into some forest. 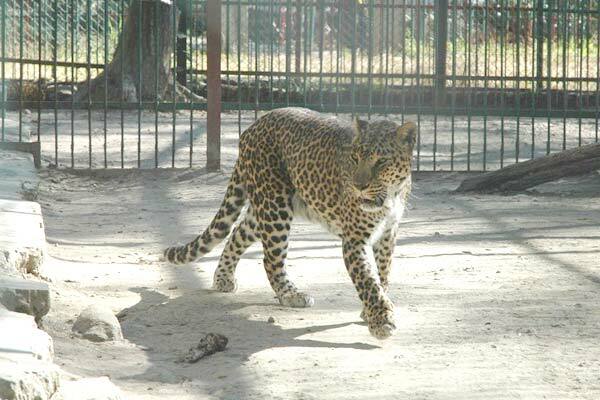 Most of the zoos near Almora hill station have facilities for bathrooms and refreshments. Bright End Corner two kms from Almora is situated Bright and Corner. This place became famous for excellent sight of sunset and sunrise. From Bright and Corner a different kind of view is obtained of dawn and dusk. The unusual calm and peacefulness during this time is rarely felt on any other hill station offering a similar view. Serene and calm circuit house very close to this point is an added attraction. Nearby is the Vivekanand library in Ramkrishna Kutir. In this library one can find many books relating to philosophy and spiritual thinking. 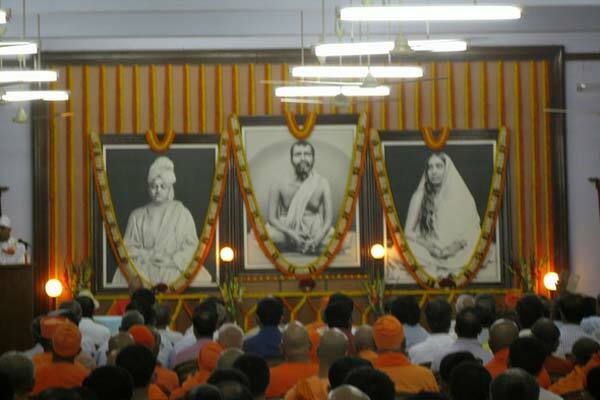 There is also a place dedicated to Swami Vivekanand. It was at this place Vivekanand spend few days while his stay in Himalayas. In the year 1897, Swami Vivekanandaji, after returning to India, was staying at Almora with his disciple Swami Swaroopanandaji Maharaj and British disciples Capt. Sevier and Mrs Sevier. He expressed his desire to his British disciples that if there could be an Advaita Ashrama nearby in the midst of Himalayas, where many sages and saints have meditated for centuries, that would be very nice for those who would meditate on ‘Advaita’ or the eternal truth of the Oneness of all existence. According to ‘Advaita,’ there is only one ‘Atman’ pervading all living beings and the universe. Near Almora bus stand is the Govind Vallabh Pant Public Museum. This museum provides a deep insight of the development of art, culture, life style of this region. It has a very rich collection items relating to Archaeological, Historic and cultural significance. This museum has unique collection of ‘Apen’, a folk style of painting. One can have a good view of the various aspect of this style painting in Almora. This museum is near the bus stand . It is closed on Mondays and other Government Holidays. It is open from 10:30 A.M. to 4:30 P.M. 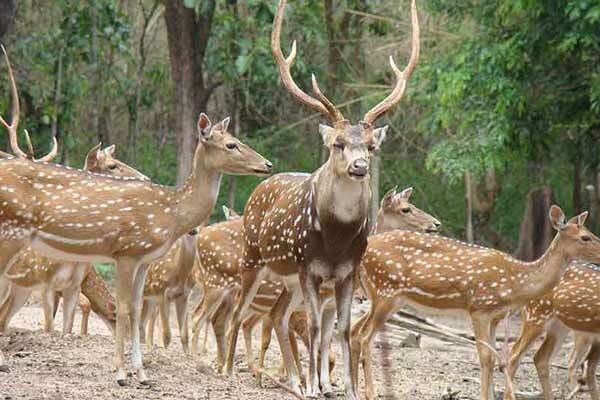 Deer Park, positioned 3 km from Almora, is situated in Narayan Tiwari Dewai (NTD). 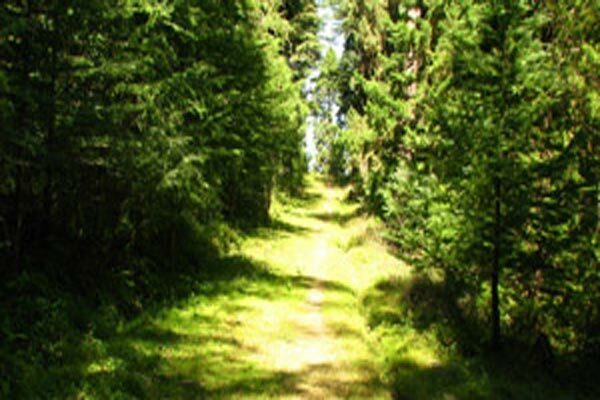 The place is characteristic of rich natural beauty, with the cluster of pine trees marking its narrow path. Tourists visiting Almora often come to this park, so as to witness some of the endangered species like deer, leopard and the Himalayan black bear. Besides, the place is an ideal place to take a stroll or a leisure walk during the evening time.